Wow I am exhausted – it has been pretty non-stop over here in publicity towers and due to a cold and slight cough (*sympathy alert*) I haven’t been out running since Monday. Don’t worry – I am itching to get out again if I could just get through this mountain of work! Never mind – as a distraction and a way to celebrate the weekend (can you believe it was only a four day working week?) 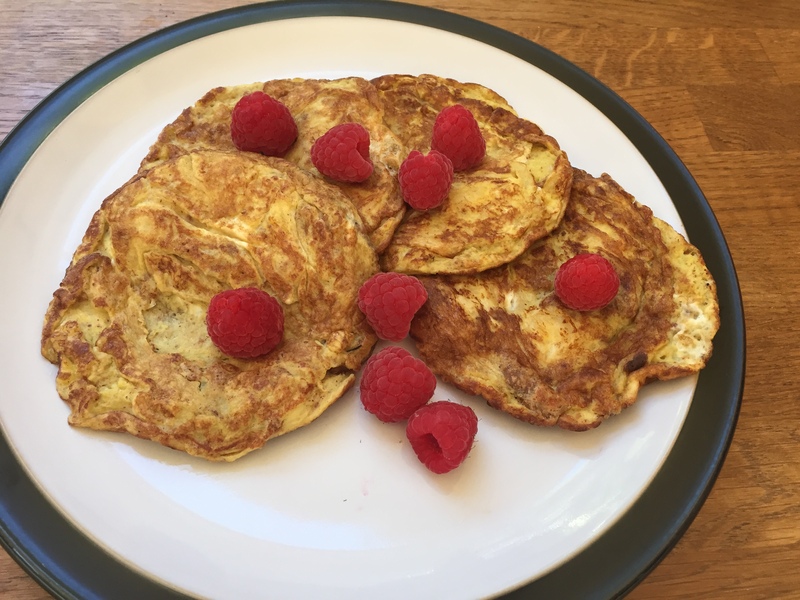 I bring you a super little recipe for delicious healthy pancakes put together by lovely Madeleine (thank you!). Its nice and easy so even I can manage! Enjoy…oh and share your pancake photos if you decide to give it a go! Mash the banana and add the almond nut butter and beaten eggs. Heat coconut oil in a small blini pan, add a quarter of the mixture. I use a plastic spatula to flip them over (takes a little bit of practice). Repeat with the rest of the mix. Delicious on their own, hot or cold. You can add fresh fruit and/or yogurt if desired. 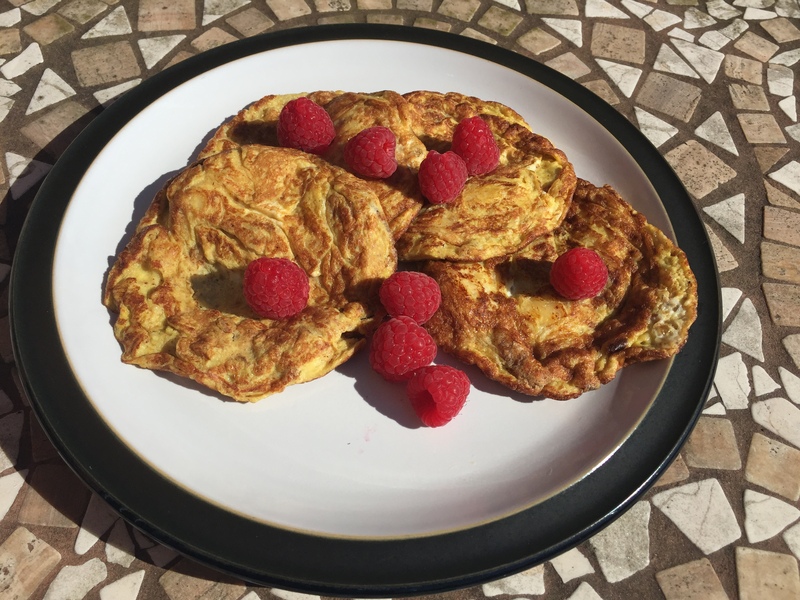 A great breakfast, post race snack or something to nibble on during the day. Enjoy! Keep sending me your recipe posts, race reports and general ramblings! Coming up next week – More of the Professor and a slightly dubious report about cycling.